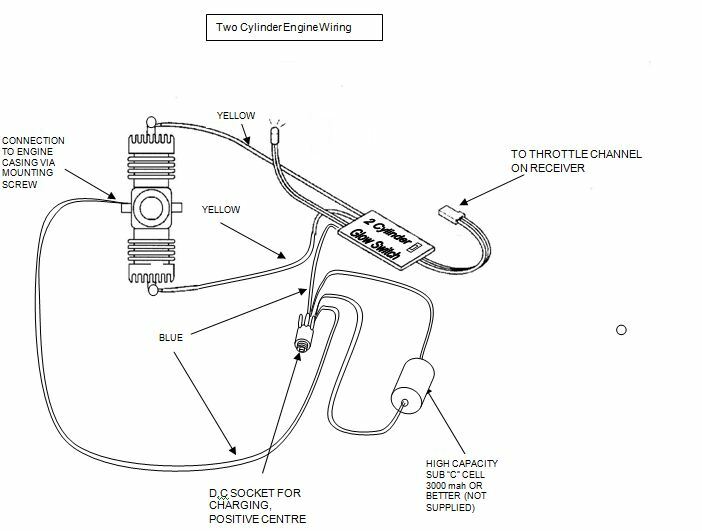 The Deluxe two Cylinder Glow Switch has been designed to operate 2 glow plugs and work with one high capacity sub “C” cell. The plugs are driven independently, so if one plug fails the other one will continue to glow. The glow plugs are inhibited below the user selected tick-over position. LED lights when Glow plugs are active. 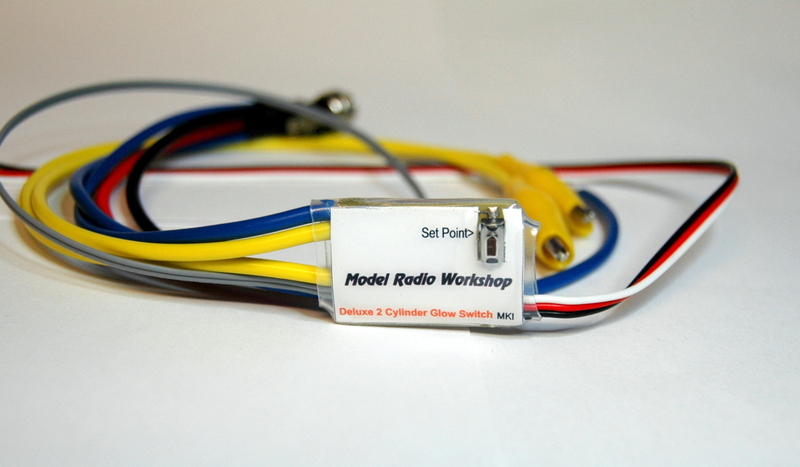 Connect the throttle servo to the receiver using a “Y” harness and plug the Digital Glow Driver lead into the spare arm of the “Y”. Move the throttle stick to the tick-over position and press and hold the set key. The LED glows to confirm that the tick-over position has been stored. If the LED is already glowing (because of a previous setting) when the key is pressed, the LED will blink out before glowing to confirm that set-up is active. Move the throttle stick to the position where you would like the Glow Plug to activate. (About one eighth throttle is a good starting point.) Release the key. The LED goes out to confirm that the set-up is complete. Pease ensure that the selection key cannot be pressed accidentally while the unit is in use.